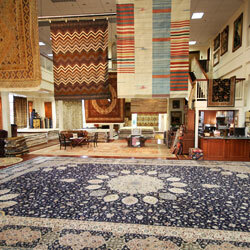 At Mansour’s, we offer some of the finest Pakistani rugs and carpets as part of our collection. 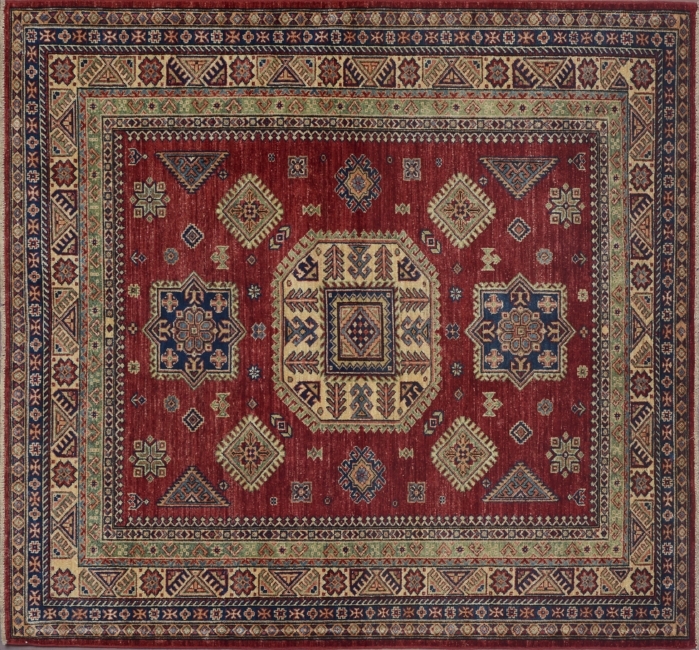 This marvelous rug featuring a Kazak design and features red and ivory as its primary colors for a traditional look. 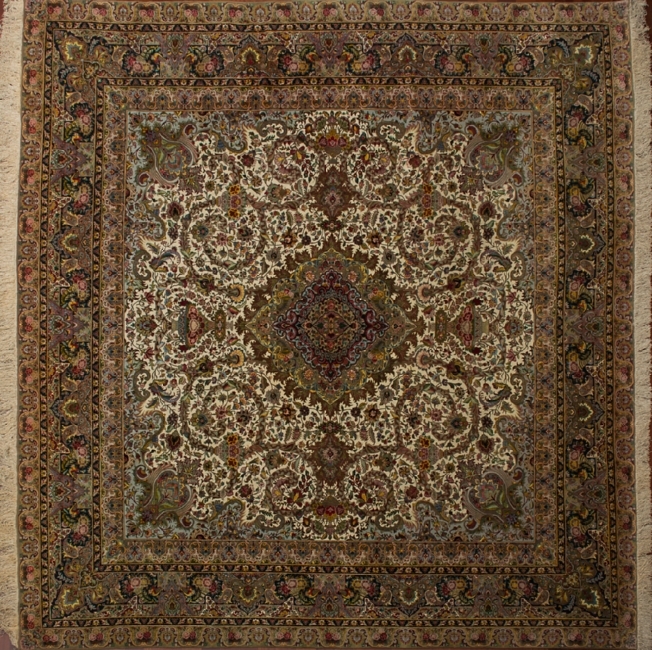 The square carpet measures 6’ by 6’ and would look lovely in almost any space. 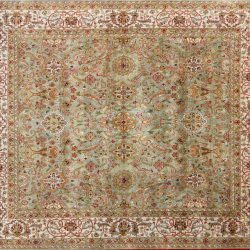 Made in Pakistan, this carpet has been constructed from quality wool on cotton with a 120 knot per inch count. 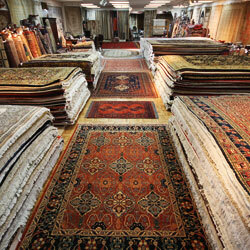 All our Pakistani rugs are unique and of the highest quality. 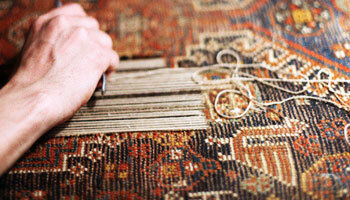 Originally Kazak rugs were woven in the southern region of the “Caucus” in the 1800’s. Weavers in Pakistan have since continued perfecting this legendary rug but have kept the original geometrical patterns and designs that were created by the weavers in the Caucus. 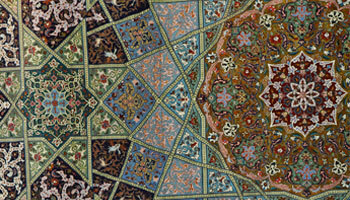 Buy this fine carpet today by clicking the “Add to Cart” button below! 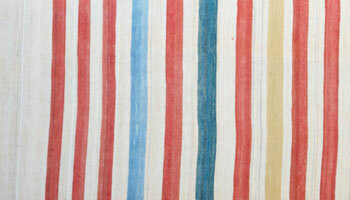 This rug is eligible for Free Shipping with-in the continental US. Click here for more shipping details. 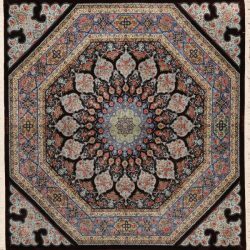 Mansour’s Oriental Rug Gallery is the Premier Showcase for Kazak and other Oriental rugs with two Northern California locations. 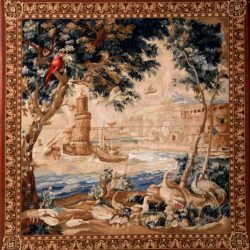 We are known for our quality service, attention to detail, and our love of helping our clients to find the perfect rug to suit their decorating desires. To experience this Kazak rug and our many other oriental rugs in person, please visit our Roseville location at: 1113 Galleria Blvd., Roseville, CA 95678. 6' 0" by 6' 0"